WASHINGTON, February 9. /TASS/. 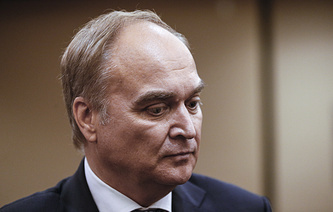 Cooperation between Russia and the US in the sphere of science and culture may play its role in descreasing political tensions in bilateral relations, Russian Ambassador to the US Anatoly Antonov told TASS in an interview ahead of the Diplomats' Day. "Such contacts may help to descrease political tensions," he added.